Animate your pad, wobble your bass or glitch up your samples. 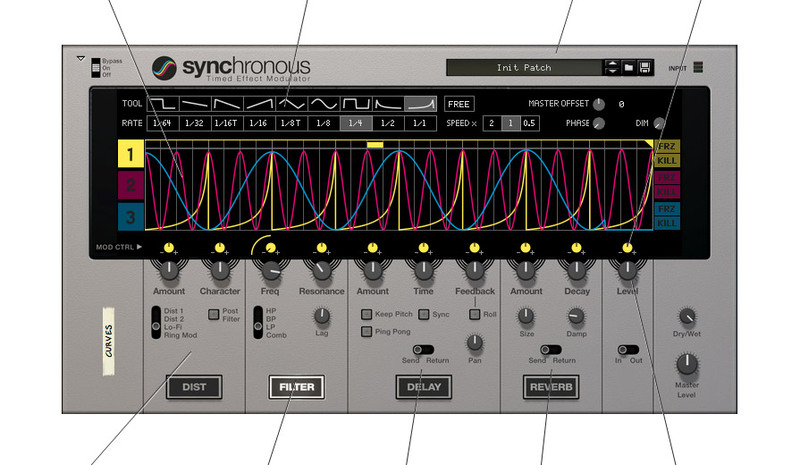 Draw complex modulation waveforms with Synchronous’ drawing tools. Assign the waveforms to the built-in effect units and enjoy an energy boost to your sound. 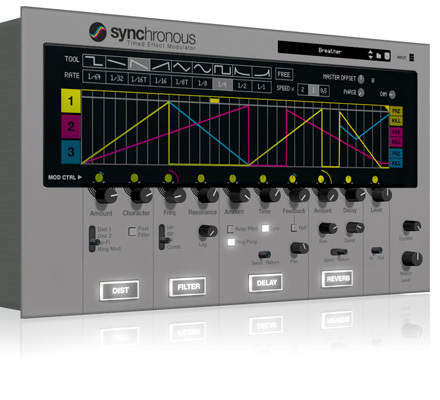 Synchronous for Reason is a modulation powerhouse that was created to add motion and spark to your music. The interactive display is where you draw the curves that drive Synchronous’ modulation effects. There are three independent curves that can target any mix of effect parameters. You draw the curves with the waveform tools. Pick a waveform, a resolution and start drawing. You can mix and match waveforms and resolutions within the same wave for even richer modulation options. 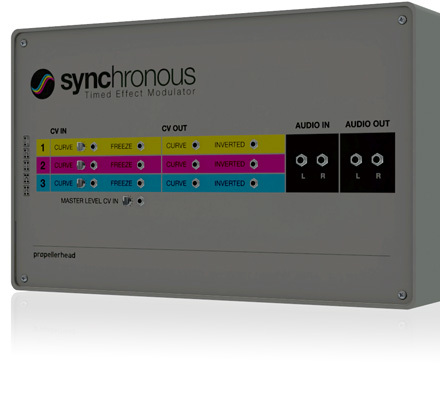 For instant inspiration, load up any of the 100+ patches that comes packaged with Synchronous. Assign the curve to the desired effect parmeter and set the amount. You can even let several curves control the same parameter. Distortion with four characters including Ring Modulation and Bit Crush. Multi mode filter (low pass, band pass, high pass and comb) with lag setting to smooth out filter modulation, if desired. Delay unit with roll and ping pong. Great for anything from rhythmic delays to stutter effects. Reverb unit that lets you modulate the reverb amount and decay times. You can switch between modulating the send amount or the return amount. Level - for super easy ducking effects, like the omnipresent pumping, four-on-the-floor sidechain ducking, simply let a curve control the output level from Synchronous.